Carsey Perspectives: To Dig, Or Not To Dig? 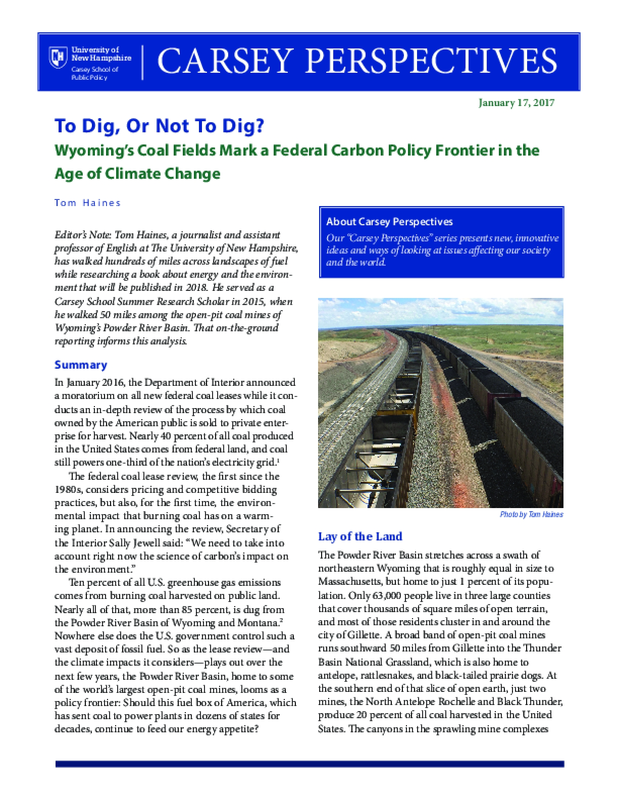 In January 2016, the Department of Interior announced a moratorium on all new federal coal leases while it conducts an in-depth review of the process by which coal owned by the American public is sold to private enterprise for harvest. Nearly 40 percent of all coal produced in the United States comes from federal land, and coal still powers one-third of the nation's electricity grid. Title: Carsey Perspectives: To Dig, Or Not To Dig?